Or you can also use a product developed to clean copper, brass or bronze, available in all big hardware stores. In Jamaica you can find such a product under the name of « Brasso ». 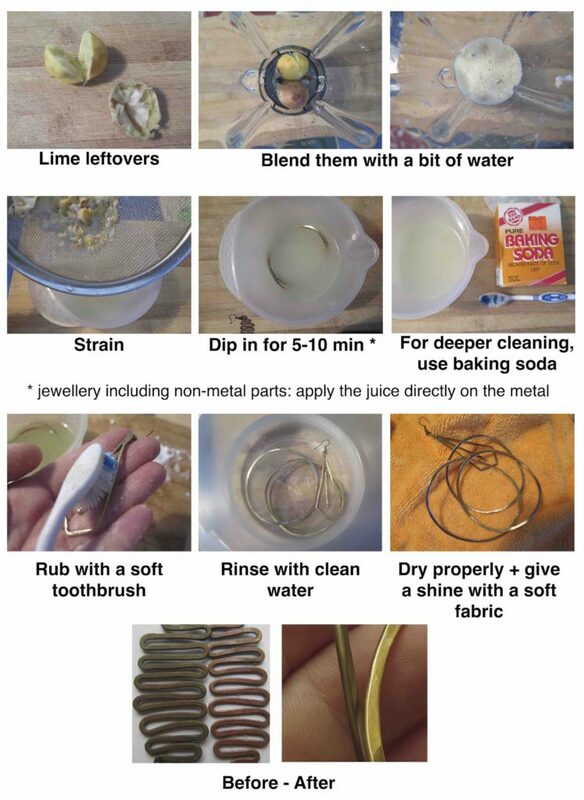 Should this product get into small irregularities of your jewel’s surface, remove it using a soft old toothbrush, a cotton bud, or even a coton yarn the way you use dental floss. We can also clean it for you for a small fee. To maintain your jewellery, when you are not wearing them, keep your jewels in a cloth or in a bag: air, humidity and sea salt (terrible sea salt!) accelerate oxidation. Do not wear your jewellery in a swimming pool (because of the chlorine), in the sea, or when using chemicals (like cleaning products,…). Avoid bathing with your jewellery in general.